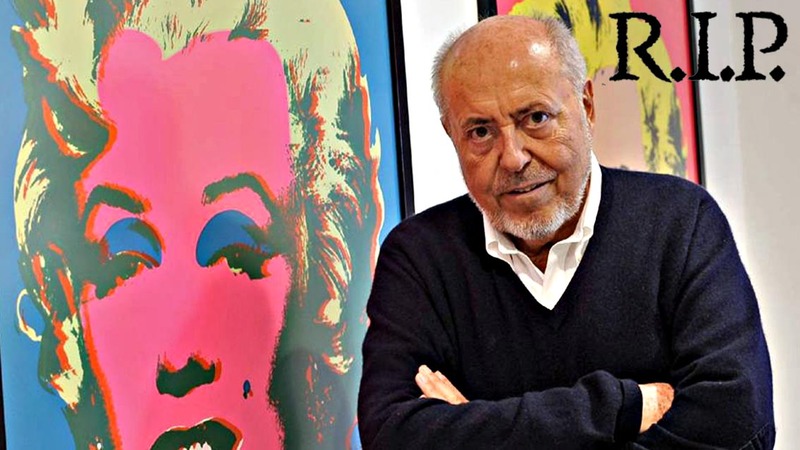 Elio Fiorucci, the creative genius behind the Fiorucci fashion label and retail stores, died on Monday in Milan at the age of 80. 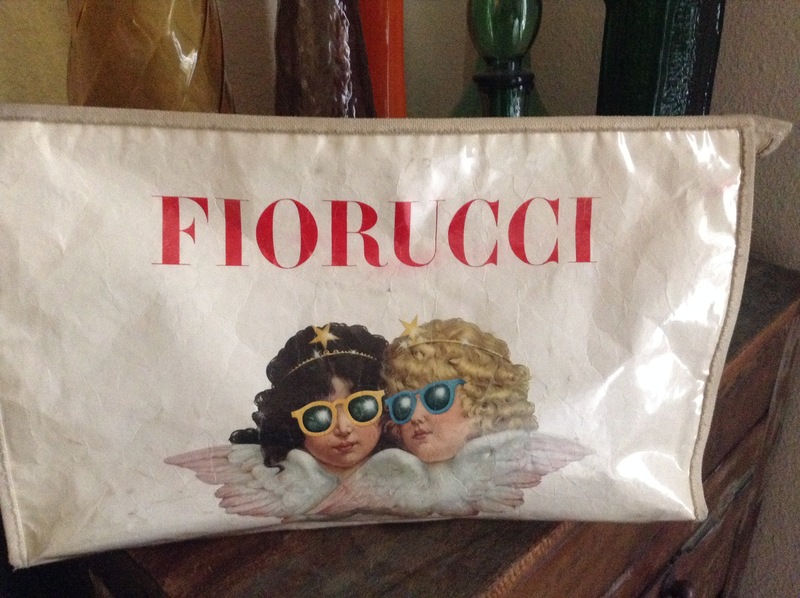 Fiorucci was the “IT” boutique that changed the way of retail for life. It was wild and crazy, full of flamboyant and provocative merchandise and zany sales people. It eventually became known as the daytime version of Studio 54. The first time I encountered the Fiorucci experience was in 1980 with my best friend from childhood April. We had stumbled across the theater turned boutique while exploring uncharted shopping territory in Beverly Hills. 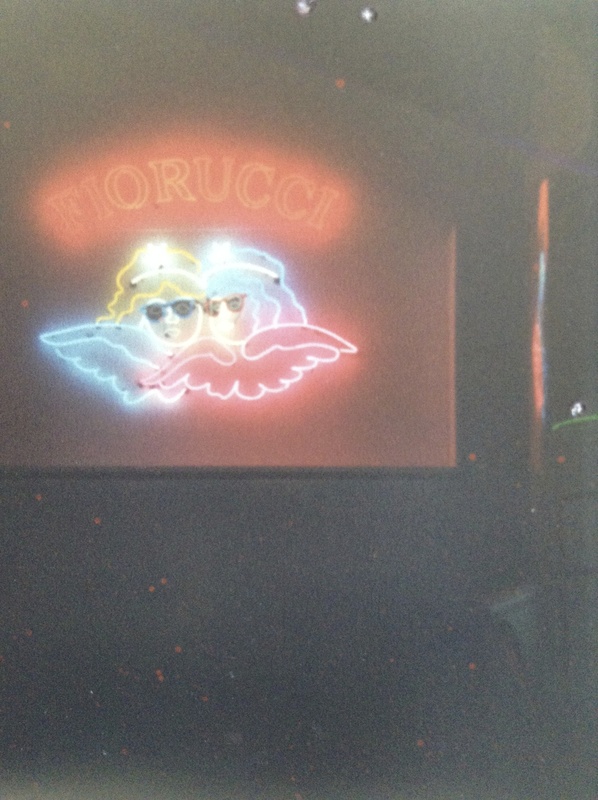 Compared to the snooty, white glove shops on Rodeo Drive which offered no hope for any babysitting money purchases, Fiorucci was a dream come true for two teenage girls in search of a fix for their culture lust. 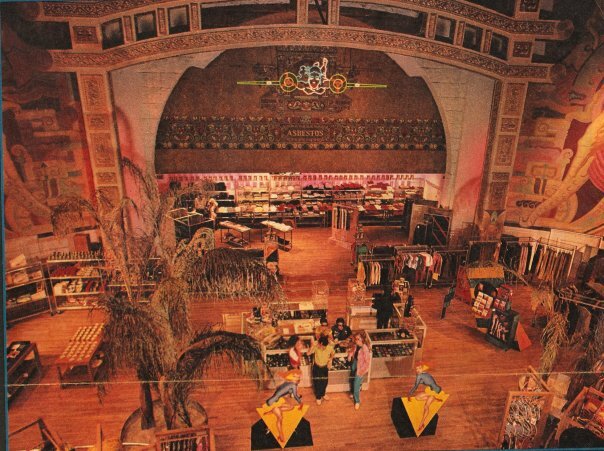 The Beverly Theater had been transformed into a hip, avant-garde boutique bursting with loud colors, live DJ music, and bigger-than-life displays. We had never seen anything like it in our thirteen years on this planet (and we thought we knew all things cool, after all, we were Camp Beverly Hills cultists and read Interview Magazine). We were completely drawn into the over-the-top fantasy life of Elio Fiorucci. The brand’s logo was two angels wearing sunglasses, so we immediately coined them as ourselves. (I didn’t say we were mature.) The magic of the theater alone was enough to keep us mesmerized, but we were completely transfixed by the life-size, neon light of the two angels. Up until then, we had only been accustomed to the mundane shopping at ClothesLine (before it became ClothesTime) and the Orange Mall, so this was more than thrilling. Elio had brought new blood to the shopping scene. He was the first retailer to hire a team of scouts who traveled the globe searching for new designers, new artists and new trends. 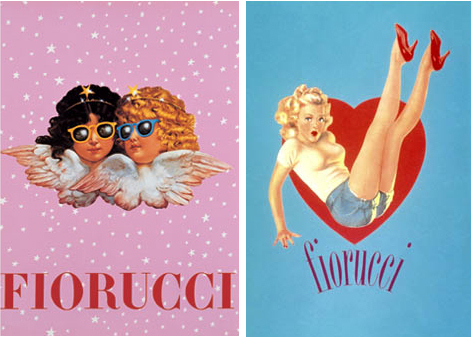 Fiorucci was a haven for Pop Culture enthusiasts and icons as well as a breeding ground for upcoming talent. It’s where Betsey Johnson and Anna Sui launched some of their first designs, Keith Haring and Kenny Scharf were artists in residence, Marc Jacobs said the store inspired him to become a designer, and Andy Warhol was known to frequent the shop. Elio Fiorucci also invented the first stretch-denim jean known as The Safety Jean. By mixing Lycra into the denim he created one of fashion’s best staples. His ads were edgy and slightly naughty, leaving something to the imagination. 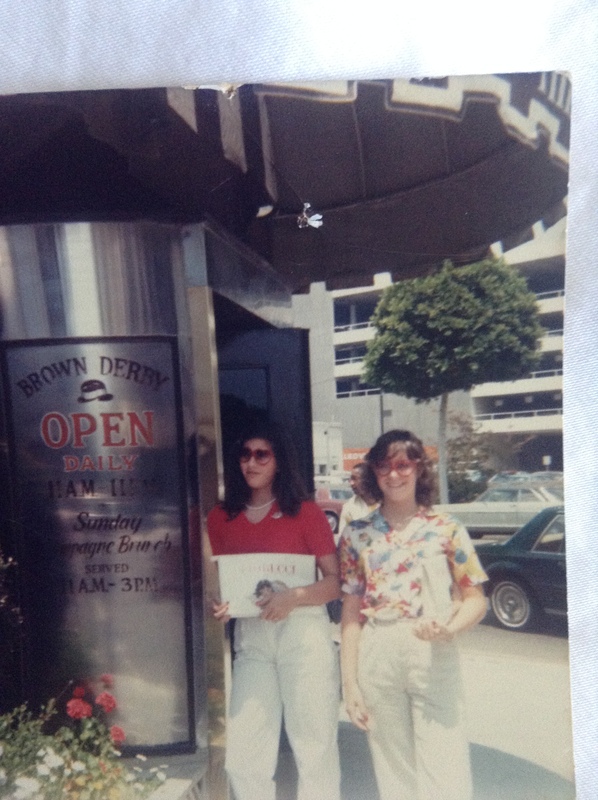 After our rich, cultural experience, we walked proudly down the street and had lunch at The Brown Derby (when the restaurant was still shaped like a hat). We thought we were so grown up and cool until we got reprimanded for making noisy slurping sounds with our straws inside the restaurant, but that’s another story. R.I.P. Elio Fiorucci! I will always love you and Fiorucci forever! The second and third pics are of their ad campaigns for the store and for Safety Jeans. The fourth pic is of the neon masterpiece I took with my little Kodak camera and real film. The fifth pic is of the inside of the store. It’s the only pic I could find on the internet. I regret not taking more interior shots since the store is no longer there. The last pic I took today of my coveted clutch. I know it’s seen better days, but I still cherish it. Photo credit: Controradio.com, Fiorucci, Julie Rasmussen.